The 28-year-old had been strongly linked with a switch to Marseille in last summer’s transfer window before the move fell through. In light of that, Balotelli remained at Nice for this season after an impressive first two seasons at the French Riviera with 43 goals scored in 66 games. This impressive form in France led Balotelli to receive a recall into the Italy national team by former Inter Milan and Manchester City boss Roberto Mancini after a four-year absence. But Balotelli’s performances at Nice have dropped off with the Italian failing to find the net once in all 10 of his appearances this season. In light of this, manager Patrick Vieira gave Balotelli a few extra days off during the French winter break in order to make a decision over his future. And now Sky Sports reports that the move to Marseille is back on with Balotelli set to sign a deal that will earn him £2.7m for 17 games during his six months at the Stade Velodrome. Currently, there is no mention of Marseille’s alleged plans for Balotelli come to the end of the season. Although the transfer will come as a welcome boost for the controversial forward, who was warned by Mancini earlier this month that he must prove he merits a recall to Italy after omitting him in their last five games. “I’ve done my best for him and I always hope something good happens to him. 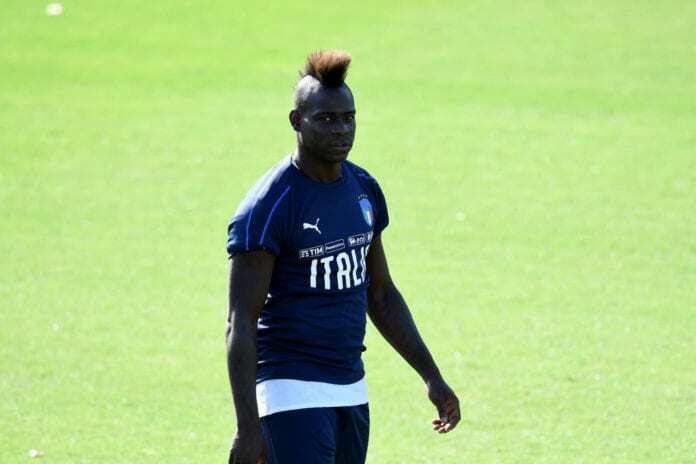 He’ll only return to the national team if he deserves it,” said Mancini on Balotelli. “As a young lad he gave me so much, both at Inter and in Manchester, but he’s given me very little in recent months. “Still, he’s 28 and he has time if he wants. The Euros and World Cup should be fatal attractions for him. “The European qualifiers begin in March. If we’re in trouble and he keeps scoring one or two goals per game then I’ll call him up. West Ham and Newcastle were also reportedly linked with a move for Balotelli in this month’s transfer window.